On April 18, almost three months after the United States President Donald Trump was sworn in, his National Security Advisor, Lieutenant General HR McMaster, travelled to New Delhi --- the first high level US official to visit India to pick up the strings of defence and security ties that had blossomed under Trump’s predecessor, Barack Obama. Senior New Delhi officials, accustomed to the warmth of Ashton Carter, defence secretary in the Obama administration, found McMaster’s visit rather less comforting. It yielded mainly routine statements on “shared perspectives” with Prime Minister Narendra Modi, and pro-forma US assurances that India remains central to Washington’s notion of Asian security. No date was agreed for Modi to visit Washington – recognition the prime minister covets, but must now wait for. New Delhi has expected change, after being at the target end of Trump’s anti-immigration, anti-outsourcing campaign platform. Change was also predicted in the China factor, which had triggered Obama’s “rebalance to Asia” and, therefore, India’s new importance in Asia’s security architecture. On the day Trump was sworn in, he fulfilled a campaign promise to withdraw from the Trans-Pacific Partnership, an anti-China trade grouping, thus potentially easing trade tensions with China. The new president has deferred campaign promises to declare Beijing a currency manipulator, ostensibly after Chinese promises to rein in North Korea. Trump’s invitation to China’s President Xi Jinping for an ice-breaking summit in Florida in early April inflamed New Delhi’s concerns that he is mercurial on China, up one day and down the next. On the crucial US-India-Pakistan dynamic, Trump had already irked New Delhi last November by offering to mediate on Kashmir. This was aggravated earlier this month by his influential UN envoy, Nikki Haley, who declared that Trump himself might oversee an India-Pakistan peace process. New Delhi’s response was predictably icy. There remains immense goodwill for India amongst US Congresspersons, both in the Senate and the House of Representatives. But an administration embroiled in acrimonious political battles has lagged in appointing officials to the senior positions where policy is enacted and prioritised. No matter how well intentioned the US Congress, it can do little for now with just a skeleton administration to work with. Of the 600-700 new Trump appointments that the Senate must okay, barely 22 have been confirmed so far. The two key departments dealing with security policy --- defense (the Pentagon) and state --- are functioning without confirmed Deputy Secretaries, who are their de facto chief operating officers. Nor do these departments have South Asia points-persons --- there is no confirmed Assistant Secretary of Defense for South and Southeast Asia; or Assistant Secretary of State for South and Central Asia. There is no Assistant Secretary of State for Political-Military Affairs, another key official. That leaves New Delhi in the unfamiliar and uncomfortable position of not having a champion in Washington. For years, Defense Secretary Ashton Carter drove the India relationship, fuelled by the Obama White House’s unwavering conviction that a strong India was in America’s national interest, regardless of whether it marched alongside America; or bought US weaponry. Carter brought attention to India at the Principals’ level – the rarefied decision-making layer that is Washington’s equivalent of India’s Cabinet Committee on Political Affairs. In the Trump administration – or what of it can be discerned so far – New Delhi can take solace only in the appointment of Lisa Curtis, who has been named Senior Director for South Asia in the National Security Council. A Washington insider says that with the new administration so understaffed, there is little adult supervision of India policy. Yet, without a strategic India policy from the executive, or enough personnel to sustain new strategic initiatives on India, the question already taking centre stage is: Why exactly is New Delhi a policy priority? What is India delivering to us? “The Trump team wants deals that tangibly benefit both countries, including American workers. 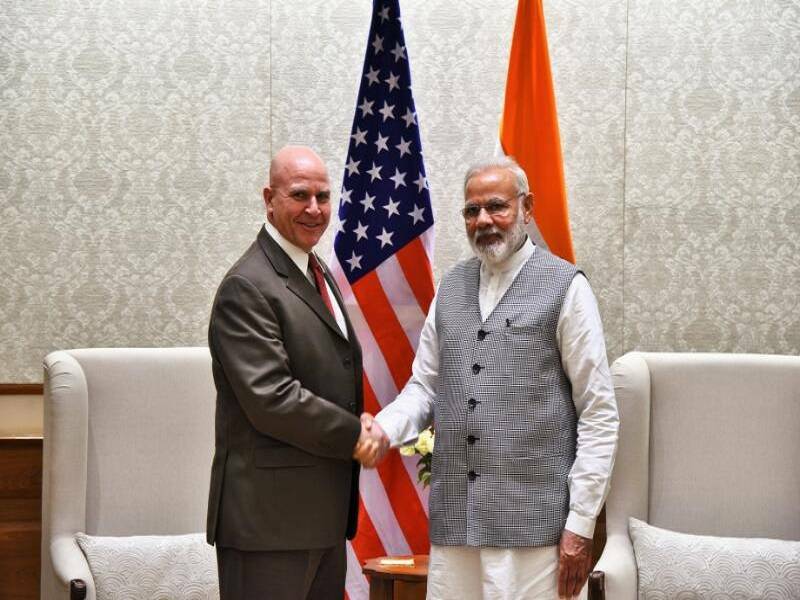 Senior officials are instinctively pro-India, but they will invest time in the relationship only if they see positive results rather than just rhetoric”, says Ben Schwartz, of the US-India Business Council. This transactional approach has a serious downside, says a US defence industry executive. “If India chooses Sweden’s Gripen NG light fighter over the F-16, the chatter in Washington will return to how “oversold” the India relationship is. “Under Trump, it’s easy to imagine the president’s desire for quid pro quos clashing badly with New Delhi’s insistence on decision-making autonomy,” says Shashank Joshi, a fellow with the Royal United Service Institution in London. While New Delhi has always seen the US defence relationship as a source of high technology for building indigenous defence weaponry, Pentagon officials say Defense Secretary Mattis wants to shift the relationship’s focus from technology transfer to operational cooperation between the two militaries. If China is what binds New Delhi and Washington strategically, believes Mattis, there needs to be visible action and capability creation towards that. True, Sino-Indian relations have sharply declined since then. Beijing’s opposition to India’s membership of the Nuclear Suppliers Group; its support to Pakistan in blocking a UN resolution designating Jaish-e-Mohammed chief, Azhar Mehmood, a terrorist; the growing supply of Chinese weaponry to Pakistan; China’s role in connecting its western Xinjiang province with Pakistan’s Arabian Sea port of Gwadar under the “Belt and Road” initiative; and, this month, Beijing’s aggressive castigation of New Delhi for permitting the Dalai Lama to visit the disputed Tawang area in Arunachal Pradesh, might have sharpened resolve in New Delhi to be more assertive with China. Yet, it remains an open question whether this disharmony will encourage India into deeper joint training and operations with the US and its allies. For now, New Delhi seems disinclined to provoke Beijing by acceding to Australia’s request to be an observer in the forthcoming Indo-US-Japan trilateral Malabar naval exercise. Operational cooperation is also impeded by New Delhi’s longstanding reluctance to sign two defence agreements that would legally enable Washington to supply safeguarded military equipment. The first of these, the Communications Compatibility and Security Agreement (COMCASA), would allow the US to transfer secured communications links to India that would improve the ability for joint operations. For example, in January, Pacific Command chief, Admiral Harris, told this correspondent that the US and Indian navies were cooperatively tracking Chinese submarines in the Indian Ocean, using the Boeing P-8 maritime aircraft. However, India’s non-signature of COMCASA meant its P-8I (I for India) was supplied without the communications equipment needed to “talk” to the US Navy’s P-8A (A for America). This was a self-inflicted blow to operational effectiveness, noted Harris. Even so, New Delhi has resisted signing COMCASA, as also the second agreement – termed the Basic Exchange and Cooperation Agreement for Geospatial Information and Services Cooperation (BECA), which facilitates secure digital mapping –because of intrusive security measures that come with safeguarded equipment, including inspections on Indian bases. New Delhi has gradually ceded ground to the US on these agreements. First, it signed India-specific “end user verification” agreements, which allowed it to get cutting-edge protective equipment for the prime minister’s executive jet. Last year, a Logistics Exchange Memorandum of Agreement was signed, which allows the two militaries to access each other’s logistic facilities. Neither of these faced the domestic political blowback that New Delhi was so worried about. Admiral Harris believes COMCASA might be signed first, as “it deals with interoperability and stuff that we really need”. This would amount to an Indian statement that would provide serious impetus to US-India defence ties in the early days of Trump. After Obama administration’s strategic approach to India, Trump likely to demand more quid pro quos. Since the turn of the century, six arms suppliers have dominated India’s defence imports --- USA, Russia, Israel, France and the UK. Now, a muscular new player, South Korea, is storming this lucrative club. On Friday, in New Delhi, the governments of India and the Republic of Korea (or RoK, as South Korea is called) signed a memorandum of understanding (MoU) for joint shipbuilding, which clears the decks for cooperatively building five fleet support ships (FSS) for about Rs 10,000 crore. These FSS will replenish ammunition, fuel, food and supplies to navy flotillas operating far from their bases. The RoK wants to build one FSS in Korea, and four in Hindustan Shipyard Ltd, Visakhapatnam (HSL), while New Delhi is pressing to build all five in HSL. Separately, Indian company, Larsen & Toubro (L&T) earlier on Friday signed a contract with RoK firm, Hanwha Techwin, for jointly building in India 100 self-propelled artillery guns, worth Rs 5,000 crore. Meanwhile, for an even bigger production order worth about Rs 30,000 crore, Goa Shipyard Ltd (GSL) is in advanced negotiations with South Korea’s Kangnam Corporation for building 12 mine counter measure vessels (MCMVs) in Goa. In Delhi on Tuesday, the navy’s warship acquisition chief, Vice Admiral DM Deshpande, said that deal too could be concluded this year. “By the fourth quarter of this year, we should be in a position to have pen to paper so far as this [MCMV] project is concerned”, said Deshpande. That would involve South Korea in defence production contracts worth 45,000 crore. However, a significant part of that money would flow to Indian production agencies. The K-9 Vajra-T gun that L&T and Hanwha Techwin will build together is a 155-millimetre, 52 calibre gun, mounted on a tracked, armoured vehicle. Artillery units equipped with this highly mobile gun will be a part of the army’s strike corps, whose tank spearheads need artillery guns that can keep pace with them. “L&T plans to begin production of this vital weapon system at its Strategic Systems Complex at Talegaon near Pune in Maharashtra and deliver the first batch of 10 guns [from Talegaon]. L&T also has initiated setting up of a greenfield manufacturing line at Hazira, Gujarat, integral with a state-of-the-art test track, to produce, test and qualify the K9 Vajra-T guns”, stated Jayant Patil, chief of L&T’s defence business. L&T committed on Friday that it would not just build the Vajra in India, with over 50 per cent indigenous content, but also provide the army through-life support. The defence ministry is especially pleased with the shipbuilding MoU, which is likely to galvanise Hindustan Shipyard Ltd (HSL) that would build the FSS in partnership with a reputed RoK shipyard, probably part of Hyundai Heavy Industries (HHI). Officials expect that HSL, a government-owned shipyard that was transferred from the ministry of shipping to the defence ministry in February 2010, will now have the high value orders and expertise needed to put it on a firm financial footing. A key component of the RoK-India MoU is the agreement for Seoul to nominate a South Korean shipyard to “upgrade and modernise [HSL’s] facilities and execute naval shipbuilding projects in a timely and cost effective manner”, according to a defence ministry release on Friday. After years in the red, HSL’s chief, Rear Admiral Sarath Babu (Retired), revealed this week that HSL would, for the first time, make an operating profit of Rs 30 crore, on a turnover of Rs 625 crore in 2016-17. Interestingly, the FSS order will be the second cooperative project between HSL and a RoK shipyard. In the early 1990s, HSL and Korea Tacoma cooperated to build seven offshore patrol vessels (OPVs) of the Sukanya class. Three of these OPVs were built in Korea and four in HSL, and all are still in service. One of the Sukanya-class OPVs built in HSL, INS Sarayu, was sold to the Sri Lanka Navy, where it continues to perform the role of navy flagship, now named Sayura. Defence cooperation with RoK is backed by a burgeoning political engagement between New Delhi and Seoul. In May 2015, when Prime Minister Narendra Modi met the (now impeached) RoK president, Park Geun-hye in Seoul, the two countries upgraded their relationship to a “Special Strategic Partnership”. Modi also visited Hyundai Heavy Industries shipyard during that trip and expressed his hope that Korean expertise could benefit Indian shipyards soon. Rolls-Royce has opened a facility in Bengaluru to support the 750 Rolls-Royce engines that power Indian military aircraft, and provide repair and service to engines that urgently require it. With the Indian Air Force (IAF) having publicly acknowledged concerns over the serviceability and in-flight failure of Russian engines that power the Sukhoi-30MKI; and given unacknowledged concerns over the engines on the navy’s MiG-29K, Rolls-Royce’s engine support initiative is significant. The SDC aims at increasing the serviceability of 750 Rolls-Royce engines that power aircraft in service with the IAF, navy and Hindustan Aeronautics Limited (HAL). These aircraft engines include: the Adour, which powers the Hawk advanced jet trainer and the Jaguar deep penetration strike aircraft; the Gnome engine that powers the navy’s Sea King helicopters; the Dart, which powers the air force’s HS-748 Avro transport and communications aircraft; and the AE2100 and AE3007 engines that power the C-130J Super Hercules and the Embraer 145 airborne early warning (AEW) aircraft respectively. HAL’s Engine Division in Bengaluru has decades of experience in building Rolls-Royce engines under licence, which have powered India’s serving and retired aircraft. Rolls-Royce has earlier successfully implemented this model of logistic support by setting up and operating SDCs at the Royal Air Force base at Marham, UK; and in the US Navy base at Kingsville, Texas. Rolls-Royce features in most years in the world’s top four engine companies, along with Pratt & Whitney, General Electric and Safran. Besides aero engines, it does a significant proportion of its business in marine engines. The Bengaluru SDC, however, supports only aerospace engines. Over the years, as India’s military opted for predominantly Russian aircraft, Rolls-Royce’s share of the Indian market has dwindled. There was disappointment in the company recently at not having a suitable product to offer for the air force’s proposed upgrade of the Jaguar fighter engine. However, with HAL building and upgrading the Hawk trainer in India, and planning to export it to regional buyers in partnership with its original manufacturer, BAE Systems, Rolls-Royce is expecting more business. The Centre was officially inaugurated by Mr Dominic McAllister, British Deputy High Commissioner, Bengaluru. As Beijing decisively implements its vision of aircraft carrier-based naval power, New Delhi seems uncertain about the form and structure of its naval combat aviation. 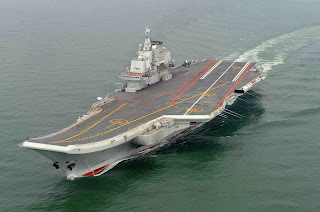 Last month China’s defence ministry announced the impending launch of Shandong, its first indigenous aircraft carrier. On Friday, a Beijing-based naval expert revealed that the People’s Liberation Army (Navy)’s, or PLA(N)’s, third carrier could be a US Navy-style nuclear-powered vessel, featuring an electromagnetic aircraft launch system (EMALS). In New Delhi, however, a senior navy admiral revealed uncertainty about India’s indigenous aircraft carrier programme. The first indigenous aircraft carrier (IAC-1), named INS Vikrant, will roll out of Cochin Shipyard Ltd (CSL) later this decade. But the navy and the ministry are still making up their minds about its successor, IAC-2. Vice Admiral DM Deshpande, the navy’s warship acquisition head, stated on Tuesday that the ministry remains uncertain about spending billions of dollars on a carrier. “Right now there is a bit of a question mark from the ministry’s side, [although] we have taken this up to the ministry on a few occasions. [An aircraft carrier] is a huge ticket item and, before some commitments are made on allocation of these funds everybody wants to be very clear on the requirement, whether we actually need that. So these are being addressed [before] we actually take it up to the government for final clearances”, said Deshpande, addressing defence industrialists in New Delhi. The three services are competing for the same limited budget. 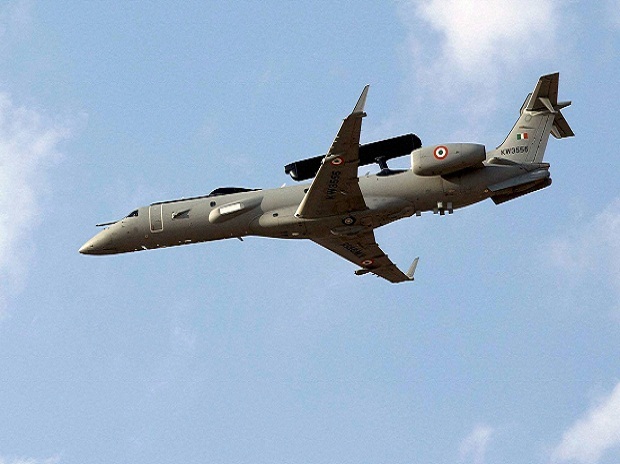 With the cost of INS Vikrant (IAC-1) reportedly nudging $4 billion, the Indian Air Force argues that land-based combat aircraft, with their ranges enhanced with in-flight refuelling, would project offensive air power more cheaply than an aircraft carrier. The navy counters that an aircraft carrier is a mobile air base, that can move to a combat zone quickly. Even within the navy, some argue that the same amount spent on submarines, or a larger number of smaller surface warships like destroyers, frigates and corvettes, would generate greater combat effect than a carrier. Deshpande expresses confidence that “in the next two-three months, we should be in a position to take it up to the ministry to get the funds”. With INS Vikrant likely to be operationally ready only in 2023 – eight years late – there is little time to lose. Currently, the PLA(N) operates only its first-ever carrier, the 65,000-tonne Liaoning, which Beijing bought from Russia, refurbished, and commissioned in 2012. India, with far greater experience, has operated at least one aircraft carrier ever since INS Vikrant joined the fleet in 1961. The PLA(N), however, now plans to commission and operate at least 5-6 carriers. The Indian Navy plans to operate a fleet of three aircraft carriers. The navy’s warship procurement chief admitted on Tuesday that key purchases, including the vital procurement of six new submarines, were foundering on the defence ministry’s failure to finalise a “strategic partner” (SP) policy. Under the SP policy, the ministry was to nominate select Indian defence companies as designated partners for foreign vendors to build weapons platforms in India. Separate SPs were to be chosen in ten production areas, such as warships, submarines, aircraft, helicopters, etc. Over the last two years, the defence ministry has overshot numerous self-imposed deadlines for announcing the SP policy. The Defence Procurement Policy of 2016 (DPP-2016) was released last year with a blank space for the chapter on SP policy. Today, Vice Admiral DM Deshpande, the navy’s Controller of Warship Production and Acquisition (CWPA) became the first senior officer to admit to the possibility that the defence ministry might fail to promulgate an SP policy at all. 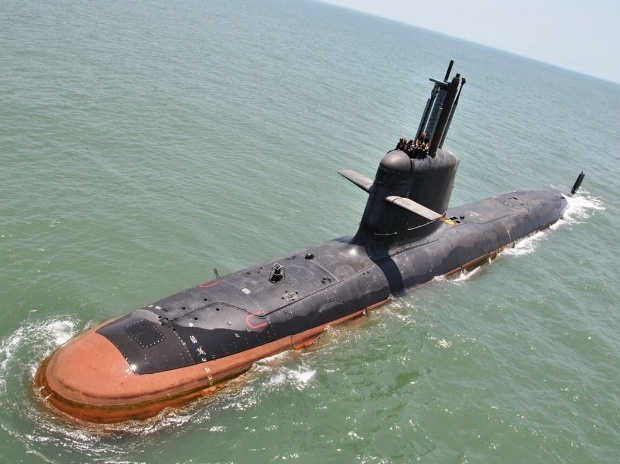 Explaining the delay in contracting for six submarines to be built under Project 75-India, Deshpande linked it with the absence of an SP policy, which was needed to nominate an Indian firm to build the submarines in partnership with a foreign vendor. “We need those submarines badly because our force levels are depleted. And in case the SP model doesn’t go ahead, for whatever reasons, then we will have to look elsewhere”, said Deshpande. He admitted that there had been “a fair amount of progress on the SP model, but as things had changed”, the project had to be looked at afresh. Business Standard first reported almost a year ago (May 9, 2016 “Ministry of Defence struggles to nominate private sector ‘strategic partners’”) the deep divisions between the ministry, industry and military on the modalities for choosing SPs. Given that firms nominated as SPs would benefit enormously from production contracts, defence ministry bureaucrats fear their choices might expose them to future allegations of bias. Deshpande outlined the navy’s alternatives for submarine production if the SP policy failed to take off. He said the navy might opt for a more advanced version of the six Scorpene submarines already being built at Mazagon Dock, Mumbai under Project 75; or a separate government-to-government contract; or a third choice entirely. “If strategic partnership (SP) happens, we will be better off for that. But if that doesn’t happen, all these options come to the fore and we will have to take a call”, he said. The scuppering of the SP policy, which former defence minister Manohar Parrikar made a key pillar of his touted “Make in India” initiative, would set back key defence procurements like Project 75-India by at least two years. Stating that the navy was preparing contingency plans, Deshpande admitted there would be “some sort of time penalties” in implementing alternatives. This is a worrying prospect for a navy that, as Deshpande spelt out to an industry gathering in New Delhi today, is aiming to increase its strength to 170-180 ships (from the current 140 vessels) and 400 aircraft by 2027. The absence of a SP policy is hitting more than just submarine production. The air force has issued a Request for Information (RFI) to global aerospace vendors for building single-engine fighters in India in partnership with an Indian company. But, without an Indian firm nominated as SP for aircraft production, global firms remain unclear who they must partner in preparing their bids. The idea of private sector SPs is the brainchild of the Dhirendra Singh Committee that the defence ministry-constituted in 2014-15. Subsequently, the VK Aatre Task Force was asked to specify criteria for nominating firms as SPs. In its report, it recommended designating one private sector SP for each of seven technology areas --- aircraft; helicopters; aero engines; submarines; warships; guns and artillery, and armoured vehicles. Simultaneously, two strategic partners each were to be recommended for three other technology segments --- metallic materials and alloys; non-metallic materials; and ammunition, including smart munitions. The debate over India’s nuclear doctrine, which was first formulated in 1999 and revised in 2003, has centred mainly on whether India should abandon its doctrinal commitment of “no first use” (NFU) – the undertaking to not use nuclear weapons unless India is attacked first with weapons of mass destruction – and the credibility of the so-called “massive retaliation”. But now, after former national security advisor Shivshankar Menon hinted strongly in his recent book that India could, in certain circumstances, launch pre-emptive nuclear strikes to knock out Pakistan’s nuclear arsenal, there is a noisy debate on the doctrine. Menon himself has not clarified what precisely he meant in his book, “Choices: Inside the making of Indian foreign policy”. However, a group of young strategic experts in the US and UK have carefully parsed Menon’s words and convincingly argued that he has departed significantly from India’s traditionally restrained and reactive nuclear strategy. In its place, India’s former top nuclear Czar, an esteemed figure in strategic circles, has outlined a pro-active strategy that increases India’s nuclear options dramatically. Vipin Narang, a strategist at the Massachusetts Institute of Technology, says Menon’s new strategy enables Indian planners, if convinced that Pakistan might be preparing a nuclear strike, to order wide-ranging nuclear strikes to take out that country’s nuclear arsenal, disregarding “no first use”. In essence, India might adopt a position of pre-emption rather than waiting to be struck with nuclear weapons. Narang’s interpretation of Menon’s words has evoked rapid-fire agreement from Shashank Joshi of the London-based Royal United Services Institution, Sameer Lalwani of the Stimson Centre, The New York Times, The Wall Street Journal, and others. For Indian planners, this should open a heady conversation. Yet most Indian nuclear strategists and academics have long been wedded to the status quo and to formulaic recitations of the official doctrine, which was formulated at a time of vulnerability when New Delhi was countering post-nuclear-test sanctions through responsible behaviour. These Indian strategists argue, somewhat unconvincingly, that Menon has said nothing new. Each side believes the other has an agenda. The status-quoists (mostly Indians) say the argument that Menon has expanded nuclear strike options is alarmist, and aims at creating grounds for non-proliferation activists to curb India. Those who see Menon’s views as path breaking allege that denial of a more pro-active Indian nuclear posture stems from the fear that more Nuclear Suppliers Group members might be alarmed into opposing India’ membership. According to traditional war-gaming scenarios, a nuclear crisis between India and Pakistan could be triggered by a damaging Pakistan-backed terrorist strike in India. To placate a seething Indian public, New Delhi would launch military offensives into Pakistan. Unable to halt the Indian strike corps with conventional forces and with defeat looming, Pakistani generals would order a “demonstration” strike on an Indian army column, in Pakistani territory, with tactical nuclear weapons: sub-kiloton nuclear warheads borne on the short-range Nasr missile which has a maximum range of 60 kilometres. The aim would be to cause limited damage (say 14-45 tanks destroyed and about 100 soldiers killed), to warn India to withdraw and to force Great Power intervention. However, New Delhi’s response to such a strike, going by its declared nuclear doctrine, is currently “massive” nuclear retaliation that causes “unacceptable damage” in Pakistan. 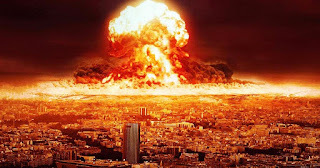 Most strategists believe this obliges India to retaliate with full-strength nuclear weapons (15-100 KT) fired at multiple Pakistani cities, in what is termed counter-value strikes. This would cause casualties in the millions, but would leave intact much of Pakistan’s nuclear arsenal that is supposedly larger than India’s. Naturally, Pakistan would retaliate with massive counter-value strikes on Indian cities, imposing catastrophic destruction on our dense population centres. How realistic is this? New Delhi’s established restraint in the face of Pakistani aggression – including Kargil in 1999, Parliament attack in 2001, and Mumbai terror strikes in 2008 – creates scepticism that New Delhi would deliver on the mutually destructive, and therefore inherently non-credible, threat of massive retaliation. Even Prime Minister Narendra Modi’s “surgical strikes” across the Line of Control last year were characterized by careful restraint. A “comprehensive first strike”, in nuclear warfare jargon, refers to a pre-emptive strike on the enemy’s nuclear arsenal – rather than cities – with the aim of disarming it. It has the moral virtue of not threatening the death of millions of innocent civilians and the strategic logic of disarming the adversary, making it both more credible and more responsible. Menon is hardly the first Indian official to question NFU. In the 2003 doctrine, India expanded its nuclear retaliation options in two ways over the 1998 version. One, India would retaliate with nukes not just to a nuclear attack, but also to an attack with any WMD: nuclear, chemical or biological. Two, an attack on Indian forces anywhere in the world (including inside Pakistan) would be regarded as an attack on India. NFU’s further erosion continued through public pronouncements by serving and retired officials. In 2014, former strategic forces command chief, Lieutenant General BS Nagal, wrote an article suggesting NFU be replaced with a policy of ambiguity, leaving open the door for pre-emptive nuclear use. Nagal cited six reasons, including that India’s leadership would be morally wrong in placing its own populace in peril. In November 2016, the then defence minister, Manohar Parrikar, stated: “India should not declare whether it has a NFU policy”. It was later clarified that this was his personal view. 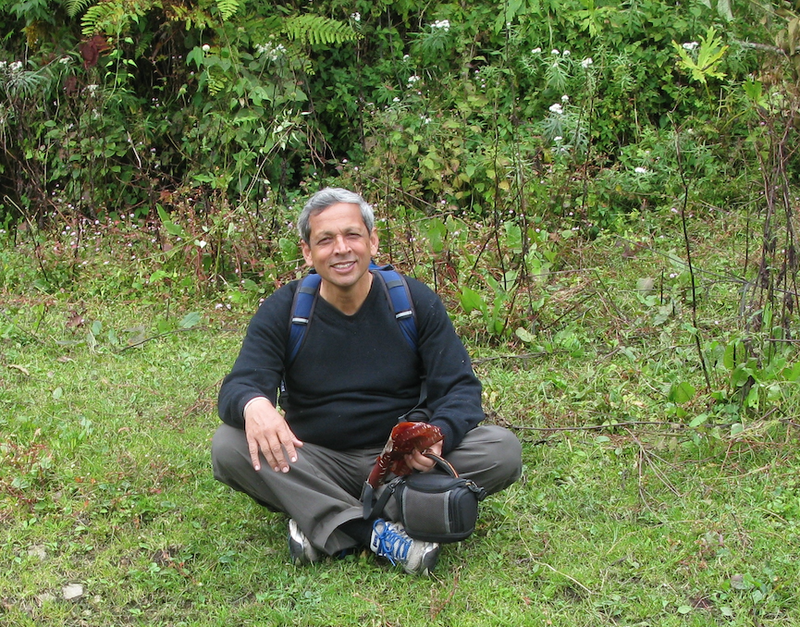 Now, Menon, known for his sobriety and restraint, has argued for pre-emptive first use: “There is a potential grey area as to when India would use nuclear weapons first against another nuclear-weapon state. Circumstances are conceivable in which India might find it useful to strike first, for instance, against an NWS (nuclear weapons state) that had declared it would certainly use its weapons, and if India were certain that adversary’s launch was imminent. But India’s present nuclear doctrine is silent on this scenario.” Menon clearly believes that doctrinal silence allows the space for a pre-emptive strategy. Rebuttals of this interpretation of Menon’s book have presented varied counter-arguments. Some of the more curious responses have included that Menon did not know what he himself meant by “comprehensive first strike”, which, for a strategic thinker of his sophistication, is downright insulting. Others claim that analysts are reading too much into two short paragraphs in Menon’s writings. But important nuclear strategies and doctrines have been presented in less space: India’s 2003 doctrine is only eight sentences; John Foster Dulles’ famous “massive retaliation” doctrine was contained within two short paragraphs; and, in December, President-elect Donald Trump signalled a major shift in America’s nuclear posture in 140 explosive characters. Manpreet Sethi of the Centre for Air Power Studies and Rajesh Rajagopalan of the Observer Research Foundation observe that a comprehensive counterforce strike would require an arsenal that India does not have: high-accuracy, nuclear-tipped missiles, nuclear targeting coordination and sophisticated intelligence, surveillance and reconnaissance capabilities to locate Pakistan’s nuclear weaponry. In fact, India is developing precisely these capabilities: a larger inventory of more accurate missiles, multiple independently targetable re-entry vehicles and a missile defence shield to guard high-value objectives against retaliatory Pakistani strikes. Sethi also argues that retaliation makes for a more credible doctrine than first use because the first use of a nuclear weapon is never an easy decision for any leader. In fact, a first strike against enemy nuclear forces might well be an easier decision than “massive retaliation” that kills millions of innocent civilians. Rajagopalan also says new strategies being discussed might just be the “personal views” of people who have not considered the “serious problems that comes with a first strike or first use strategy.” This is hard to sustain about Menon, who is known to carefully weigh his words. Are Menon’s radical new proposals just a cat’s paw, a trial balloon to assess reactions to Indian nuclear assertiveness? There is little to support that view. It would appear as if Menon, a creative thinker who realizes the infirmities in India’s traditional nuclear doctrine, has interpreted it anew to create a wider menu of options for Indian decision-makers in a nuclear crisis. While declining comment on interpretations of his book, Menon revealingly commented: India’s current nuclear doctrine has far greater flexibility than it gets credit for.